At American IRA, many of our Self-Directed IRA clients are very successful. Sometimes, extraordinarily so. And so some of them find themselves restricted from making tax deductible contributions to a traditional IRA, or even from making new contributions to their Self-Directed Roth RAs. 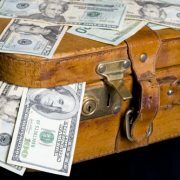 That’s where the so-called ‘backdoor Roth’ contribution comes in for Self-Directed IRA owners: While there are income limits to one’s eligibility to contribute money to a Roth IRA, there are no income limits when it comes to Roth IRA conversions. You can roll over hundreds of thousands of dollars into a Roth IRA, or even more, regardless of your current income. Of course, you’ll have to pay income taxes on money you roll out of a traditional IRA, 401(k), or SIMPLE IRA into a Roth IRA during the conversion process. But depending on your current and future tax brackets and expected future returns, it could be worth it – especially if you don’t convert so much that it puts you in a higher marginal tax bracket. Baseline contribution limit: $5,500, plus an additional $1,000 per year in “catch up” contributions for those age 50 and older. Single filers: May contribute the full baseline amount up to an adjusted gross income (AGI) of 118,000. After that point the amounts they are eligible to contribute begin to phase out, until their contribution limits phase out entirely at an AGI of $133,000. Joint (married) filers: May contribute the baseline amount of up to $5,500 (or $11,000, including a spousal IRA), plus an additional $1,000 in catch-up contributions per person age 50 and older, up to an adjusted gross income (AGI) of $186,000. Above that AGI level, their contribution limits begin to phase out at $186,000 until they reach zero at an AGI of $196,000. Note: If you haven’t yet made your contribution to your Self-Directed IRA for tax year 2016, there is still time! You have until April 15th, 2017, to make your Self-Directed IRA contributions for tax year 2016. This gives you time to fill out your tax return and figure out exactly how much you may be able to convert to a Roth IRA, or self-directed Roth IRA, before you are pushed into a higher marginal tax bracket. To execute a backdoor Roth rollover with American IRA, LLC, call us first, and we’ll send you a few forms to establish an account to hold your converted Roth IRA funds. Another form you fill out will authorize us to contact your current custodian for your traditional IRA funds and have them liquidate your account and wire the proceeds directly to us. This direct trustee-to-trustee transfer is a non-taxable event, when you roll eligible traditional IRA, 401(k), 403(b), SEP or SIMPLE IRA funds into another IRA. But if you are rolling tax-deferred money into a Roth IRA account, it counts as a conversion, and you will be charged income tax on the money rolled over. You will not be charged an additional 10 percent early-withdrawal penalty on rollovers, whether they are straightforward trustee-to-trustee rollovers or transfers. For best results, try to pay the taxes with money outside of your retirement accounts. That way you won’t be paying income taxes and penalties on money you are just using to pay taxes and penalties. You also preserve the maximum amount of assets for favorable tax treatment in the Self-Directed IRA. If you are considering a backdoor rollover and you are interested in the advantages of self-direction of your retirement assets, we want to hear from you! 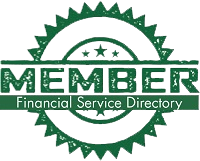 Contact American IRA, LLC at 866-7500-IRA(472), or visit our website at www.americanira.com.